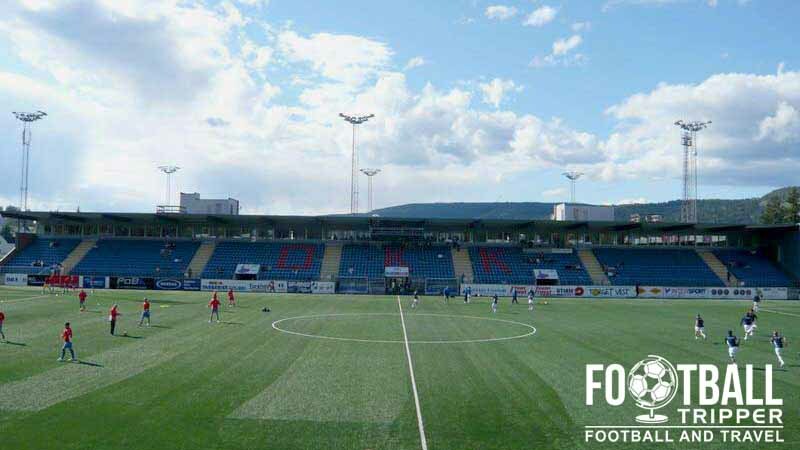 Marienlyst Stadion is a purpose built football stadium of 8,900 capacity located in the capital of Buskerud County, Drammen. 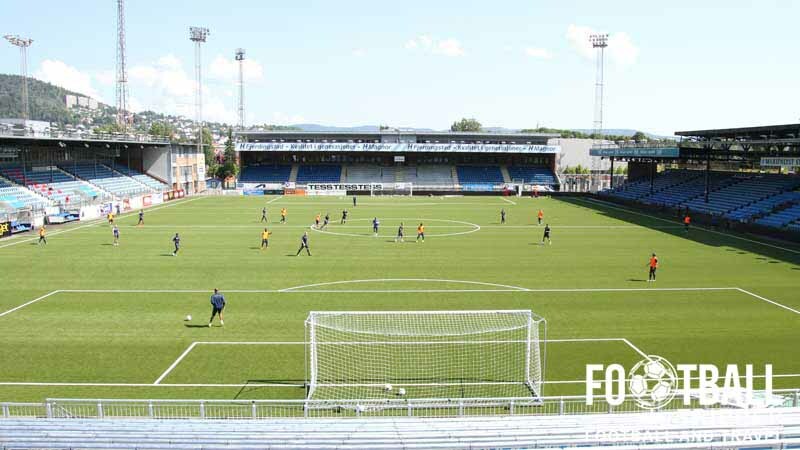 Home to Strømsgodset IF who finished second in the Tippeligaen in 2014 since opening in 1967, the ground was recently modified to satisfy UEFA’s regulations for Category 4 stadiums. Detailed history section to be added in due course. 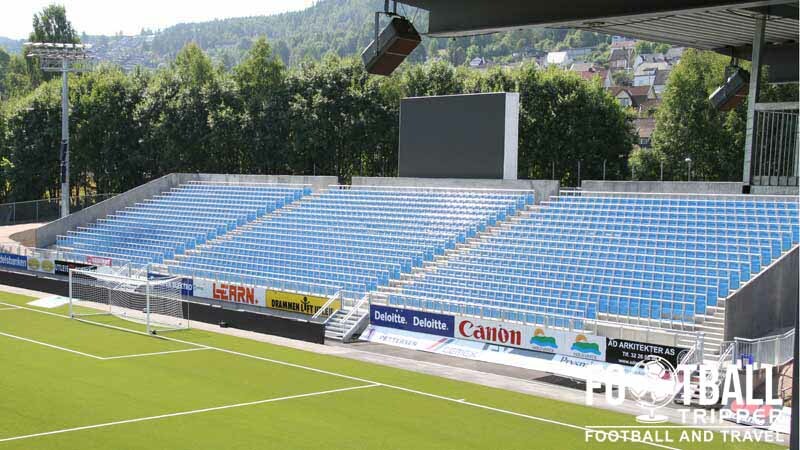 Marienlyst Stadion is comprised of four stands: North, East, South and West. 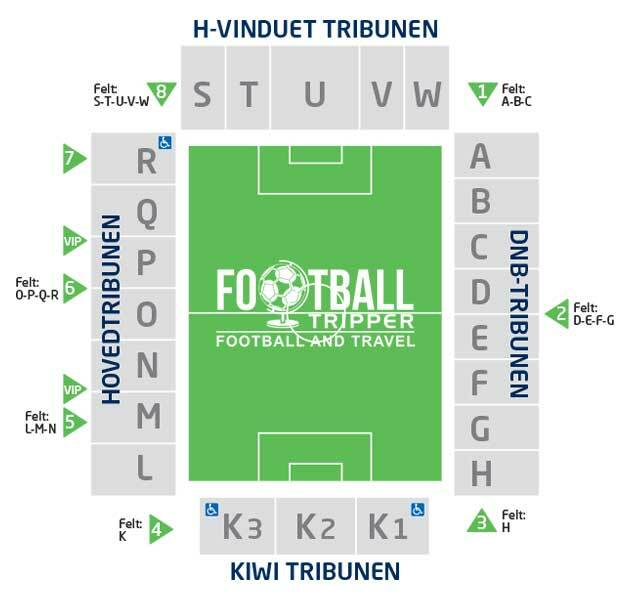 The Away fans are can be found at the Kiwi Tribunen(K3). Official merchandise of Strømsgodset IF can be purchased from the online store and from the stadium on matchdays. We couldn’t find any information as to the fan shop’s opening times during the week. It seems very unlikely that guided tours of Marienlyst Stadion are available and sold to the public! Single Tickets to see Strømsgodset IF are best purchased at the various ticket booths around Marienlyst Stadion which specifically open on matchdays. The club doesn’t appear to do online sales going into the 2015 season, and we can’t advise as to the club shop or office opening hours during the week! 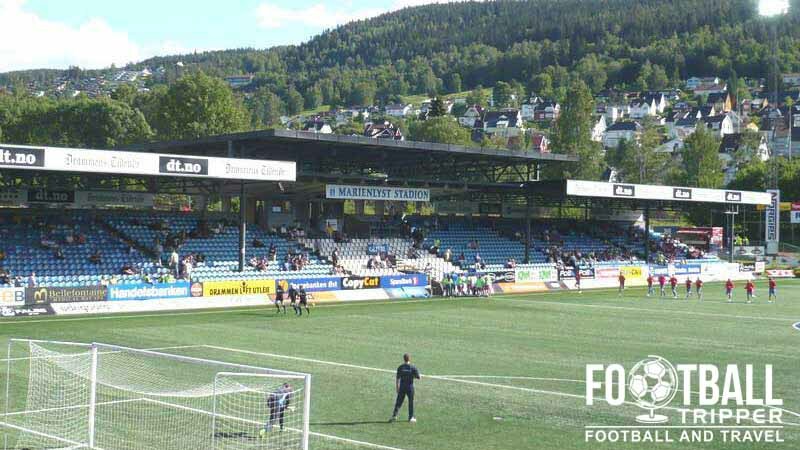 Marienlyst Stadion is located 1.5 km south of Drammen’s historic area where the Bragernes Church, within the southern bank of Drammen river. Most Football Trippers will find that they can walk to the ground in no more than 15 minutes. There is appears to be a few parking spaces directly at Strømsgodset IF’s stadium with additional car parks located at Maxi Storenter and the adjacent high school. Drammen Station ensures the local area is well connected to the rest of Norway with several direct services to the likes of Oslo, Bergen and Kristiansand. Outside the main stand of Strømsgodset IF’s stadium. Marienlyst Idrettspark is served by its own bus stop known as Marienlyst Skole just off of Danvikgata road. The closest major airports to Drammen are: Sandefjord, Torp (79 km), Moss Aiport, Rygge (82 km) and Oslo Airport (90 km). There’s a cluster of accommodation options around the railway station with Drammen Hostel, Globus Hotel and the Ambassadeur Hotel all making claims for the most affordable place to stay. If you have a larger budget you may wish to check out the Comfort Hotel Union Brygge and the Rica Park Hotel which is just across the river.